And there went a man of the house of Levi (Exodus 2:1). Where did he go? R.Yehudah b. Zevina said that he followed the advice of his daughter [Miriam]. A tanna taught: Amram was the greatest man of his generation. When he saw that the wicked Pharaoh had decreed, Every son that is born you shall cast into the river (Exodus 1:22), he said, “We labor in vain.” He arose and divorced his wife. All [the Hebrews] thereupon arose and divorced their wives. His daughter [Miriam] said to him, “Father, your decree is more severe than Pharaoh's because Pharaoh decreed only against the males whereas you have decreed against males and females. Pharaoh decreed only concerning this world, whereas you have decreed concerning this world and the world-to-come. In the case of the wicked Pharaoh there is a doubt whether his decree will be fulfilled or not, whereas in your case, because you are righteous, it is certain that your decree will be fulfilled, as it is said, You shall also decree a thing, and it shall be established for you (Job 22:28).” [Amram] arose and took his wife back in marriage; and [the Hebrew men] all arose and took their wives back in marriage. By any measure, the women mentioned in the opening chapters of Exodus are extraordinary. The midwives Shifra and Puah courageously defy Pharaoh’s command that they kill all male Hebrew infants they deliver. Moses’ mother Yocheved and his sister Miriam collude to save Moses’ life by floating him down the Nile River just in time to be seen by Pharaoh’s daughter in the hope (and one might say, confidence) that she would scoop him out and save him in defiance of her own father’s law. Indeed, Pharaoh’s daughter saves Moses and brings the tiny Hebrew infant into Pharaoh’s own palace right under his nose and raises him as her son—and Pharaoh’s very own grandson. All five women are endowed with wisdom, courage, and fortitude in abundance. They cooperate with one another to defy Pharaoh. His “us-versus-them” mentality is undermined by their determination to save and nurture life at all cost. The Rabbis concur in this assessment and enlarge Torah’s narrative by filling in “blanks” in the story. They tell a remarkable tale of then-tween Miriam’s striking role in the redemption of Israel from Egypt. Exodus 2:1 recounts the marriage of Moses’ parents: A certain man of the house of Levi went and married a Levite woman. The seemingly superfluous verb “went” affords the Rabbis an opening to tell us what else occurred at that time. They tell us that the marriage referred to in Exodus 2:1 between Amram and Yocheved (Moses’ father and mother Yocheved, who are not so named until Exodus 6: 20) was their second marriage to one another. “Went” eludes to the end of their first marriage and subsequent remarriage, events that unspool from the imagination of the sages. Upon hearing Pharaoh’s decree that not only the midwives, but all the Egyptians were charged with killing every male Hebrew born, Amram declared that bringing children into the world is done to no avail because they will all be killed. He therefore divorced Yocheved to forestall the murder of more infants. His adolescent daughter Miriam, however, takes a longer view of history and deeper view of their situation than her father. Miriam challenges Amram’s decision with a remarkable three-pronged argument that she introduces with the shocking declaration that her father’s “decree” is more cruel—yes, more cruel—than Pharaoh’s decree. Miriam’s first point is that while Pharaoh’s decree concerns only boys, Amram’s decision to avoid procreation means that girls who would have been born will also be denied life. Second, Pharaoh’s dreadful decree denies baby boys life in this world, but even if killed by the Egyptians, each would enjoy a full portion of life in the world-to-come; children who are never born, however, have no portion in the world-to-come. Finally, Miriam argues that it is not a given that everyone will obey Pharaoh’s decree—and we already know that the midwives are among those who flagrantly subvert his orders—but since Amram is a righteous and respected leader among the Hebrews, people will surely follow his lead and emulate his behavior. To reinforce her point, Miriam cites a verse from the Book of Job in which Eliphaz assures Job that if he repents, God will insure that what Job decrees comes to pass. Perhaps this is meant as a hinting that if Amram repents his decision to divorce Yocheved, his desire (decree) to have a son who survives will come to pass. Upon hearing Miriam’s carefully constructed three-point thesis, Amram takes Yocheved back in marriage. The result is the birth of Moses. Anna Berman, interned in Theresienstadt and Auschwitz during WW II, conceived two children in the camps with her husband. She describes her experience in the Holocaust as a world in which the sexual behaviors that promoted her survival by making her feel alive and human also placed her and children who might result at great risk. Adults consider it their role and responsibility to teach and lead children. In the story above, the Rabbis attribute to adolescent Miriam the insight, courage, and wisdom to teach her father. Is there a message here about recognizing and honoring children’s wisdom? When have you seem children exhibit exceptional courage and wisdom? The decision to bring children into a world in which they are likely to suffer and, worse, die young is excruciatingly fraught. During the Holocaust, not only children, but pregnant women’s lives were at enormous risk. (See Anna Berman above.) If you had lived in Egypt, or in a situation where being pregnant or bringing a pregnancy to term was life-threatening, what would you do? Does it take special courage to bring life into the world in such situations? Is doing so an affirmation of life or a foolish risk? The story implies that had it not been for Miriam, Moses would never have been born. Does this suggest that Miriam is responsible for the continuation—and redemption—of the Hebrews from slavery in Egypt? Does it suggest that redemption may come from an unexpected source? Our Rabbis taught: It once happened that two priests were neck-and-neck as they ran to mount the ramp and when one of them came within four cubits of the altar ahead of his colleague, the other took a knife and thrust it into his heart. R. Tzaddok stood on the steps of the Hall and said, “Our brothers, House of Israel, listen! Behold it says, If a corpse should be found on the land... your elders and judges shall go out (Deuteronomy 21:1-2). Who is responsible for bringing the eglah arufah, the city or [the priests of] the Temple Courts?” All the people burst out weeping. The father of the young man came and found him still writhing. He said, “Behold he is your atonement. But my son is still writhing and [therefore] the knife has not become ritually impure.” [The father’s words] teaches you that the ritual purity of the vessels was of greater concern to them even than the shedding of blood. Thus is it also said, Manasseh also shed much innocent blood, until he filled Jerusalem from one end to the other (1 Kings 21:16). Mishnah Yoma, chapter 2, discusses how the daily tasks around the Temple were attended to. The first chore of the day was terumat ha-deshen, cleaning the ashes off the altar. Mishnah explains that originally, anyone who wished to collect the ashes would do so. If there were more volunteers than needed, a race up the ramp to the altar was held and the one who came within four cubits of the altar first was declared the winner. If two priests tied, there was a procedure for settling the matter. However, the mishnah recounts, one time two priests tied and one pushed the other off the ramp (which was approximately 15 feet high) causing him to break his leg. After that, the races were suspended and a priest was chosen each day by lottery. The story is shocking: how could priests charged with the sacred work of the sanctuary behave in this manner? Yet the Gemara records either another far more tragic version of the incident, in which the young priests are not the only “bad performers.” The story is an allegorical and scathing criticism of the priesthood in the second century C.E.—a community more obsessed with ritual purity than human life. In the Gemara’s version of the story, the two priests running up the ramp ahead of the pack tie, when one pulls out a knife and thrusts it into the chest of the other—with clear intent to kill. In re-imagining the pushing story as one of slaying with a knife at the altar, the echo of sacrificial slaughter is unmistakable. As much as it seems things could not get worse, R. Tzaddok (a priest living toward the end of the Second Temple period), rather than attending to the wounded man lying on the ground with a knife in his heart, stands and declares: We must follow the Torah’s law concerning the eglah arufah (the heifer whose neck is broken), which tells us that if a corpse is found in an open field and it cannot be determined who the murderer is, the elders and judges of the closest settlement must perform an atonement ritual. They bring a heifer, break its neck, and make a declaration denying responsibility for the murder. Not quoted, but well understood by those telling the story, is that Torah concludes the account of the eglah arufah with these words: “Thus you will remove from your midst guilt for the blood of the innocent, for you will be doing what is right in the sight of Adonai” (Deuteronomy 21:1-9) thus absolving themselves of the bloodguilt. R. Tzaddok wonders whether the people of Jerusalem or only the priests in the Temple are responsible for fulfilling the ritual of absolution. And then it gets even worse. At this moment, the father of the dying priest arrives. What he says is beyond astonishing. Rather than attempting to help his son, he makes two declarations. First, he offers up his son’s life as atonement for his own murder! Only then does the father realize that his son is still alive. He is physically writhing on the ground, yet only now does he seem to notice this. His second declaration is to point out that if the knife used to stab his son is removed before the young man succumbs, the knife will not become ritually impure. If, however, the young man dies with the knife still in his body, the knife’s physical contact with a corpse will render it ritual impure. The father is more concerned with the ritual purity of the knife than with the life and death of his son! The Talmud comments: we learn from this that people’s priorities were deeply and perversely skewed. They were more concerned with the ritual purity of a mere Temple vessel (the knife) than with the life—and murder at the very altar of the Temple—of a human being. Clearly the Talmud finds the religious priorities and consequent immoral behavior of everyone present—even the father—appalling and reprehensible. The story may be read as a polemical attack on the priestly class and institution of the Temple, or perhaps a cautionary tale directed at the entire society that sacrifices its own people and perverts Torah by its priorities. We presume that fulfilling Torah—and especially the sacred rituals it commands—is good for individuals and society. Yet here, selfishness, competition, and greed result in the “misuse” of Torah, transforming something good into something evil. Can you think of examples when a society’s priorities have transformed good ideals into evil behavior? R. Tzaddok blames not the priest who committed the murder but rather evokes the law of the eglah arufah, which does not apply. Hence his words are best understood as a rebuke, either of the priesthood or the nation as a whole. What do you believe he is saying? Should society be blamed when the instruments of government and religion are used for evil rather than good? What responsibility does society bare for the guilt of individuals who commit crimes ostensibly believing they are contributing to society? The image of a knife slaughtering a human being near the altar is searing—it evokes the idea of sacrificing people. The priests, passionate about religious laws and rituals, have prioritized them above what is far more important: human life. Are there religious ideas, or rituals, or political beliefs that you believe some in society today have elevated above human life? Is the world fair? Is God fair? Saul, the first king of Israel, dies in battle on Har Gilboa. The throne passes to David, his erstwhile musician, and David’s throne is the one established for all time: [David’s] line shall continue forever, his throne, as the sun before Me, as the moon, established forever, an enduring witness in the sky (Psalm 89:37). Why did God end the reign of Saul after he committed one sin, but establish David’s throne eternally despite numerous sins? What about fairness? This is the question Talmud poses. Rav Huna comments that if you have God on your side, you’ve got it made. Consider the kings Saul and David: Saul committed but one sin and lost everything; David committed two sins but his descendants retained the throne of Israel eternally. The Rabbis explore what these sins were. In the case of Saul, his decision to spare the life of Agag, king of Amalek, despite God’s clear command to kill him, lost him the kingship of Israel. A discussion ensues. An anonymous voice objects: But in the incident of Nob, Saul ordered the killing not only of the priests, but innocents were killed, as well. Is that not a second sin? The Gemara acknowledges the truth of the claim, but points out God’s decision was made prior to Nob; hence one sin lost Saul the kingship. And what about David? An obvious answer is Uriah, the husband of Bathsheba, whom David sent to the front battle line to insure he would be killed so David could marry Bathsheba. In addition, David ordered a census, which was forbidden. As with Saul’s sins, a discussion ensues. An anonymous voice asks: Isn’t the sin of Bathsheba yet a third sin? The Gemara responds yes, but David paid directly for this sin by the loss of four children in his lifetime, a fulfillment of David’s own judgment in response to Nathan’s allegory about David’s sin with Bathsheba. The Gemara points out that if one is discounting sins for which David suffered personal bodily punishment, then the census should not be counted as one of his two sins since it resulted in a plague. The Gemara responds that the plague did not afflict David’s body (though it certainly afflicted many others); hence it should not count. This idea is rejected on the basis of a teaching of Rav Yehudah in the name of Rav who said that David suffered material punishment for ordering the plague in three ways: he was afflicted with tzara’at (a skin disease), and the Sanhedrin and Shekhinah both withdrew from him. In support of this teaching, Rav Yehuda cites two verses from Psalms (understood to have been written by David) that are taken to refer to the Sanhedrin and God’s Presence. The Gemara suggests one additional sin: David listened to Ziba’s slander of Mephibosheth (2 Samuel 16:4), which he should not have done. While the sage Shmuel holds that David is not guilty of listening to Ziba, Rav Yehudah in the name of Rav contends that if he did, he suffered for it: following the reign of his son Solomon, his kingdom was divided—could there be a greater punishment than the dissolution of one’s legacy? The Sages cannot agree on how many sins each king committed, nor whether they suffered physical punishment for each, but one difference becomes clear: David repented the sin with Bathsheba. Saul did not repent. Rav Huna boldly suggests that God is no necessarily fair: if God supports you, you can get away with sins others would be punished for. Why do you think they don’t attempt to justify the transference of the kingship from Saul to David on the grounds of superior leadership, or character, or spirituality? In the end, Saul’s sin related to Agag is identified as the single sin that lost him the throne. With respect to David, four sins are identified, but the Rabbis identify physical punishment for three of them (census, Bathsheba, lashon ha-ra) leaving only the sin against Uriah unpunished. Hence they do not support the original conjecture. Do you think this is? 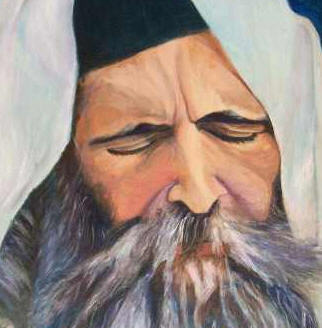 Rabbi Isaac Hutner (1906-1980) suggests that the essential distinction between Saul and David is teshuvah (repentance): David, unlike Saul, repented. For Hutner, this points to a valuable and essential quality for leadership: admitting one’s mistakes and changing. For this reason, the messiah will come from the line of David and not from the line of Saul. How important is it for a leader to admit his/her errors and correct them? Consider the teaching of R. Abbahu concerning the penitent: "In the place where penitents stands, even the perfectly righteous cannot stand" (BT Berakhot 34b) How do you understand this teaching? This is fine according to the one who said the world was created in Tishrei: he [i.e., Adam] saw the short days but had not yet seen the long days. But according to the one who said the world was created in Nisan, [Adam] had seen both short days and long days. He had not seen days as short as these [immediately preceding the winter solstice]. Our Rabbis taught [in a baraita]: On the day that the first man was created, when the sun set before him [for the first time] he said, “Woe is me! The world is becoming dark because I sinned, and it will return to chaos and void, and this is the death that heaven has decreed for me.” He undertook a fast and cried all night—and Eve cried along with him. When the dawn arrived, he said, “This is the natural course of the world.” He arose and sacrificed an ox whose horns preceded its hooves, as it is said, [My praise] will please Adonai more than oxen, [more] than bulls with horns and hooves (Psalm 69:32). This passage is a continuation of TMT #113, in which the Rabbis posited that midwinter festivals exist among all peoples, having originated in the experience of witnessing the days grow shorter prior to the winter solstice. They express this by envisioning Adam, the primordial human, terrified by the decrease in daylight which made him think the world was reverting to pre-Creation chaos and void. The scene imagined by the Rabbis presumes Adam had never before experienced the phenomenon of days grow shorter and subsequently growing longer. The passage above picks up the discussion from there. The Rabbis wonder: why was Adam so terrified? Had he never observed that day length waxes and wanes? The answer depends on how much of the year he had experienced by the time the first winter solstice arrived. In tractate Rosh Hashanah (10b-11a), we find a passage alluded to in the conversation above; there is a disagreement between R. Eliezer b. Hyrcanus, who claims the world was created in Tishrei (autumn, when Rosh Hashanah occurs) and R. Yehoshua b. Chananiah, who holds the world was created in Nisan (springtime, when Pesach occurs). If the world were created in Tishrei, the story in TMT #113 concerning Adam’s first winter makes sense: he observed the days shorten, but had never seen them lengthen—hence he feared that the days would continue to shorten until there were no more light. If, however, the world were created in Nisan, he had seen the days lengthen prior to the summer solstice and grow shorter afterward; as the winter solstice approached, he would have surmised that there is a natural cycle. Why then was he so terrified? The Gemara answers this implied question: Even assuming Adam were created in the springtime, he had never experienced days this short. The Rabbis next introduce another story similar to the previous one in several ways. In this one, sunset on Adam’s very first day of life terrifies him. The enveloping darkness seems to him like death itself and he assumes it is heaven’s punishment for sins he has committed (the conclusion he drew in the first story) and further that the entire world is being destroyed and Creation itself is reverting to chaos and void (again, as in the first story). He therefore undertakes a fast and cries throughout the first night. Eve cries alongside. As in the first story, Adam realizes he is wrong—in this case, because the sun rises the following morning—and reasons that daily cycles of light and dark are the natural order of the world. In contrast to the first story, in which Adam institutes a festival in response to the relief he feels, in this case Adam makes a sacrifice to God in gratitude. The Talmud notes that the ox Adam sacrifices has the singular feature that its horns grew prior to (or, more likely, simultaneously with) its hooves. In the course of nature, an ox is born with hooves, but develops horns later as it grows. In the verse quoted, Psalm 69:32, the term for “horns” precedes the term for “hooves,” which may explain why the Talmud says “an ox whose horns preceded its hooves.” What is more, the verse refers to a shor-par: the term shor applies to the animal from the time it is born (before it has grown horns) but par refers to a bull after it has matured and grown horns. This seems to have suggested to the Rabbis that the ox Adam sacrificed was the primordial ox, created full-grown with both hooves and horns, just as Adam came into being a full grown adult. Hence, the story in TMT #113 part 1 and this story have a similar structure and numerous features in common: misapprehension of how the world operates, fear that Creation is being reversed, presumption that sin is driving the unsettling change in the world, fasting as a response to sin, the realization that there is a natural order, and a religious or spiritual response to the relief or gratitude felt upon gain a new understanding. How do the natural lengthening and shortening of days in the cycle of the year affect you? Are the Rabbis here suggesting that religion arises from universal human experiences of the natural world? Both stories portray Adam believing his sin caused disordered the physical universe (although he has violated no rules) and conceiving a ritual response to the experience of relief and gratitude. Do these stories undermine Jewish religious teachings that define sin as a violation of God’s commandments, and laudable religious praxis as adherence to God’s commandments? Or do they reinforce them as natural human proclivities that God constructively marshals? It is well understood by scholars that Genesis 1 and Genesis 2 are separate (and conflicting) creation stories despite the Rabbis’ attempts to reconcile them. The mention of Eve is curious: according to Genesis 2, Eve was brought into existence to compensate for Adam’s loneliness; hence she was not present on his first day. Why do you think the second baraita added the character of Eve? Rav Chanan bar Rava said, “Kalenda is eight days following the winter solstice; Saturnalia is eight days preceding the winter solstice. And your mnemonic [to remember this]: Later and earlier You formed me (Psalm139:5).” Our Rabbis taught [in a baraita]: When the first man saw the days gradually growing shorter, he said, “Woe is me! Perhaps the world is growing dark for me and returning to chaos and void because I have sinned, and this is the death that has been decreed upon me from heaven.” Therefore he kept eight days of fasting. However, once he saw the Tevet (i.e., winter) solstice and saw the days gradually growing longer he said, “This is the natural way of the world.” He went and celebrated an eight-day festival. The following year, he established both of these [eight-day observances] as festival days. He fixed them for the sake of heaven, but they [idolaters] fixed them for the sake of idolatry. The tractate Avodah Zarah is devoted to exploring the implications of the idolatrous practices for Jews who live among pagans and interact with them. In the mishnah that precedes this passage, R. Meir lists seven pagan (in fact, Roman) festivals. Jews may not conduct business with those celebrating these festivals for the three days leading up to them lest they inadvertently facilitate pagan observances. The first two of the seven festivals listed in the mishnah are Kalenda and Saturnalia. Saturnalia, celebrated during the week leading up to the winter solstice, entailed sacrifices to the Roman god Saturn and was marked by carnivals, partying, and gambling. Kalenda refers to the first day of each Roman month, but Gemara understands it differently. Rav Chanan bar Rava understands Kalenda to be the eight days following the winter solstice, and Saturnalia to be the eight days preceding the solstice. He supplies a mnemonic to recall which comes first: in the well-known verse Psalm 139:6 the word “later” occurs before the word “earlier.” Hence Kalenda is “later” than (after) the solstice and Saturnalia is “earlier” than (prior to) the solstice. Talmud then brings a fascinating baraita that locates the origin of ancient midwinter festivals not in particular societies or cultures, but in the lived experience of all humanity, represented by Adam, the first human. Mid-winter festivals arose from the universal human experience the world grows darker and colder, the days becoming shorter leading up to the winter solstice. Perhaps this baraita explains the Rabbis’ observation that most every society has a midwinter festival that prominently features the symbolism of light in darkness. The baraita tells us that Adam feared that the days would continue to grow shorter until there would be nothing but darkness enveloping the whole world, all light annihilated as the world returned to the primordial chaos that existed before Creation. Adam assumed his own sins accounted for the terrifying diminution of daylight and unraveling of Creation. He hoped that if he fasted for eight days, God would accept his atonement and halt the world’s downslide into non-existence. These eight days were the shortest eight days of the year, just prior to the winter solstice. After the solstice, Adam noticed that the days were no longer shortening; in fact, they were growing longer. He realized that the processes of nature, rather than his own actions, determine the course of the cosmos, and therefore spent the next eight days celebrating. The following year, Adam fixed both eight-day observances: eight days prior to the solstice and eight days following it. The story ends with the comment that whereas Adam fixed the two eight-day festivals for the sake of heaven, pagans corrupted them by keeping them as idolatrous festivals. Why do you think that Adam, upon realizing that the laws of nature determine the length of days, celebrated for eight days? Was it because the world would not end imminently or was it a relief to realize that his actions were not the cause of the world’s seemingly imminent demise? Why do you think Adam fixed both eight-day observances in the second year? Why keep the eight days during which the days grow shorter, as though the world is devolving back into chaos and void? Does the symmetry of the two festivals speak to you? If so, how? The baraita calls to mind the famous talmudic passage about Bet Hillel and Bet Shammai’s differing approaches to lighting the Chanukah menorah. Bet Shammai says: the first day they light eight lamps and thereafter decrease. Bet Hillel says: the first day they light one lamp and thereafter increase.” (BT Shabbat 21b) Comparing the two, perhaps Adam’s eight days of fasting mirrors Bet Shammai’s practice in that the days and the lights grow dimmer each successive day. Adam’s eight days of celebration after the winter solstice mirrors Bet Hillel’s practice of increasing the light each successive day as the days grow longer. The Talmud presents both Bet Hillel’s and Bet Shammai’s practices as legitimate embellishment of the require to light a single candle each night of Chanukah, though in time, Hillel’s practice became normative. Given that the Rabbis represent Kalenda and Saturnalia as deriving from Adam’s two eight-day festivals (when, in fact, Saturnalia lasted seven days), do you think the Rabbis had Chanukah in mind when they told the story of Adam’s two eight-day festivals bracketing the winter solstice? Imagine we celebrated as both Bet Shammai and Bet Hillel instructed and kept Chanukah for 16 days: decreasing light for eight days prior to the 25th of Kislev, followed by increasing light for the next eight days. Aside from ingesting far too many latkes, how might the festival speak to the ups and downs of history, our communal lives, and our individual lives? Is there a message here about a natural cycle of times of darkness and light in our world, and maintaining the hope for light to return when we feel shrouded in darkness? Our Rabbis taught [in a baraita]: It once happened that Hillel the Elder was traveling along the road [where he lived] when he heard screaming in (i.e., coming from) the city [he was approaching]. He said, “I am confident that this does not come from within my house.” Of him Scripture says: He shall not fear evil tidings; his heart is steadfast, confident in Adonai (Psalm 112:7). Rava said, “However you expound this verse—from beginning to end you may interpret it [i.e., the second clause may be understood to explain the first clause], or from end to beginning you may interpret it [i.e., the first clause can be read to explain the second]. [The verse] may be expounded from beginning to end [thusly]: He will not fear evil tidings. What is the reason? [Because] his heart is steadfast, confident in Adonai. [The verse] may be expounded from end to beginning [thusly]: His heart is steadfast, confident in Adonai [because] he shall not fear evil tidings. Fear and misfortunate are inevitable elements of life and, for many, deeply intertwined. A diagnosis, illness, the shattering of an important relationship, loss of employment, not to mention any number of physical dangers all give rise to fear. As much as I prefer these editions of TMT to be timeless, the truth is today the Jewish world has cause for renewed fear. As the classic Jewish telegram has it: “Start worrying. Details to follow.” Many of us are again greeting an armed guard on our way into shul on shabbat, and we worry for our African American and Muslim friends and neighbors. We can draw strength from one another and the Talmud suggests a way to draw strength from God. The mishnah (BT Berakhot 54a) that gives rise to this comment in the Gemara discusses what constitutes a prayer said in vain: any prayer hoping for an outcome that has already been determined. Mishnah provides two examples, the second of which is that if you are traveling home and hear the sound of screaming coming from your city, praying that not come from your house is a prayer said in vain—it either already is, or is not. This inspires the Rabbis to tell the story of Hillel who, upon finding himself in just this situation, expresses confidence that the screaming is not coming from his home. The Gemara comments that Hillel’s experience and consequent response to what would be a worrisome and frightening situation for most of us is mirrored by Psalm 112:7: He shall not fear evil tidings; his heart is steadfast, confident in Adonai. Psalm 112 delineates the blessings that redound to one who “fears Adonai.” Verse 7 is particularly apropos because hearing screams is akin to receiving “evil tidings”: both bad news and screaming are aural experiences that generate fear. Yet the second clause of Psalm 112:7 expresses confidence in God. What is the nature of this confidence? Is it a presumption of God’s protection from imminent danger, or the ability to endure inevitable fear? We cannot be certain. Reading the verse “beginning to end” (#1) suggests that one who places confidence in God can hear bad news without being overcome by fear. Depending on one’s theology, this suggests two interpretative options: (a) Fear is not necessary due to the expectation that God will intervene and mitigate the bad news; or (b) Reliance on God affords one strength to cope with the fear that bad news generates (put another way: God’s presence in one’s life buoys one's strength in times of fear and danger because one knows they are not entirely alone). Reading the verse “end to beginning” (#2) works similarly. One can have confidence in God because or if one does not fear bad news. Full confidence in God changes how one hears the news: it doesn’t sound devastating to one who is fully confident in God to either intervene or provide strength and comfort (again, this depends upon your theology); hence it doesn’t generate crushing fear. How do you cope with fear? What helps you most? Do you lean on God? The Hasidic master, Rabbi Nachman of Bratzlav, is revered for many teachings, not least of which is כל העולם גשר צר מאד, והעיקר לא להתפחד כלל “The entire world is a very narrow bridge, but the essential thing is not to succumb to fear.” (For a long time, this teaching was transmitted and translated incorrectly as: “…but the essential thing is not to fear.” Telling people not to fear is, of course, impossible, absurd, and perhaps cruel. However, encouraging people not let themselves be entirely overcome and overwhelmed by fear (as the original version does) is a reasonable and compassionate goal. Do you see a connection between not succumbing to fear—resisting the paralyzing power of fear—and Rava’s interpretation of Psalm 112:7? In light of Rava’s teaching, how would you interpret Exodus 15:20: עָזִּי וְזִמְרָת יָהּ וַיְהִי לִי לִישׁוּעָה “My strength and God’s song have become my deliverance​“? How do your strength and God’s song interact? Can they be partners is responding to fear? In the midst of a conversation about the Mishnah’s prohibition (on 11a) against searching one’s garments for vermin or read by lamplight on shabbat evening, the Gemara takes an interesting turn to discuss bikkur cholim (visiting the sick) on shabbat. The underlying concern is that visiting the sick may cause the visitor to suffer; while visiting is permitted on shabbat, any suffering induced conflicts with oneg shabbat—shabbat is ideally a “day of delight.” The discussion of bikkur cholim, however, does not mention any possible conflict with shabbat. Rather, it goes in a most unexpected direction. Rabbah b. Bar Chanah recounts that when R. Elazar visited the sick, he sometimes prayed in Hebrew and other times in Aramaic, presumably based on which language the sick person understood. The anonymous narrator, however, is surprised that R. Elazar ever couched a prayer for recovery from illness in Aramaic because Rav Yehudah taught that petitionary prayers should never be made in Aramaic and R. Yochanan taught that prayers for the ill in Aramaic are ineffectual because “the Ministering Angels” don’t understand Aramaic and therefore cannot respond. At first glance, the claim that the Ministering Angels are conversant in some languages but not others may seem humorous, but upon further reflection, this statement is both confounding and troubling. Do we not pray directly to God? Are the Ministering Angels intermediaries? Commentators through the ages have twisted themselves in knots to explain this passage, including: angels literally don’t know Aramaic; Aramaic is an inferior language; angels do not convey prayers to God but rather carry out God’s will in response to prayers uttered to God in any language (if so, the language of prayer should be a moot point, no? ); those who pray in Aramaic do so with less kavanah (intention) than if they used Hebrew (really?). It truly seems that at least some sages believed the Ministering Angels played an intermediary role conveying our prayers to God. The Gemara resolves the concern by asserting that the Shekhinah (God’s Divine Presence) is aware of sick people and is present for them. R. Anan supplies a proof text he learned from Rav: Psalm 41:4 assures us that “Adonai will sustain him on the sickbed.” In addition to resolving the problem created by the presumption that the Ministering Angels act as intermediaries to God, I imagine that the assertion that God is nearby and present to people who are sick is exceptionally comforting, particularly in a world that offers little effective medical care and few curative pharmaceuticals, let alone medicines to relieve pain. The Hebrew term in Psalm 41:4 (samech-ayin-daled), here translated “sustain,” has a wide range of meanings. It connotes “support,” “assist,” “nurse (i.e., take care of),” and “feed.” The verse (Psalm 41:4) is cited twice more. It is mentioned in a baraita to explain why one should sit on the floor rather than on the bed or a chair when visiting the sick. If the Divine Presence is understood to be hovering above the patient’s head, a visitor who sits on the bed or on a chair is above the Shekhinah; in God’s presence, humility is required. Psalm 41:4 is employed a third time by Rava in the name of Ravin, to prove that God sustains those who are sick, suggesting that God feeds or nourishes those who are sick. Does it matter what language one uses to pray? Can prayer be expressed without formal language, without words? When you visit one who is sick, where do you sit? What do you consider when choosing where to sit (e.g., the presence of the Shekhinah, the nature of your relationship with the sick person, the physical and/or emotional needs of the person you’re visiting, the possibility of contagion)? The third mention of Psalm 41:4 seems to suggest that God provides food to nourish the sick. Yet the Shulchan Aruch (YD 335:8) asserts that one of the primary purposes in visiting the sick is to ascertain their needs and make arrangements for fulfilling them. This would naturally include food. How do you understand the Gemara’s claim here? Is there possibly a suggestion here that those who bring food to the home of the sick are working as God’s hands?